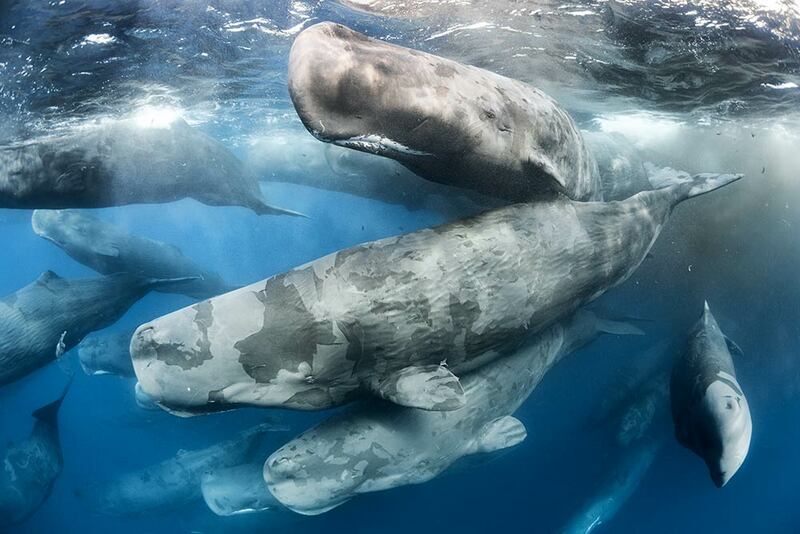 It's a wild and brutal world outside and it is evident in this year's Wildlife Photographer of the Year contest. Chosen from almost 50,000 entries submitted from 92 countries around the world, these photos will blow your mind. The exhibition opens at London’s Natural History Museum on 20 October 2017 before touring across the United Kingdom and internationally. The exhibition will be on show at the Museum of Texas in the United States, from 2 March 2018 and at Houston Museum of Natural Science, US from 4 May 2018. Here are some of the best images of winners and finalists. 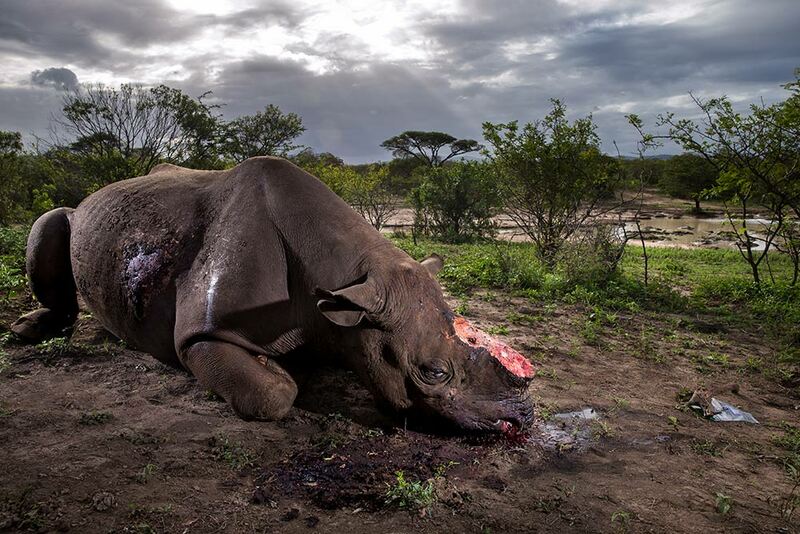 Taken as part of an undercover investigation into the illegal trade in rhino horn, Brent’s winning image tells the evocative story of one of the trade’s latest victims -- a black rhino bull from South Africa's Hluhluwe Imfolozi Park. The poachers responsible are thought to have come from a local community, working to order. After entering the reserve illegally, they ambushed the rhino at a waterhole, shooting it dead before fleeing from its mutilated body. Brent's poignant image is symbolic of the devastating impact of the demand for rhino horn. Black rhinos were once the most numerous of the rhino species. However, it was estimated in 2015 that only 5,000 remained in the wild -- a number that conservationists believe to have fallen since due to increased poaching. These critically endangered animals will become extinct unless effective and compelling action is taken. After a three-hour trek through the forest of Odzala-Kokoua National Park, Daniël finally caught up with a family of gorillas. In this compelling portrait of Caco, a young, nine-year-old gorilla, Daniël captured the inextricable connection between these wild apes and the forest on which they depend. ‘I hope to raise awareness of the endangered gorillas,’ says Daniël. Deforestation, poaching and diseases like Ebola have dramatically reduced the western lowland gorilla population over the last 25 years. They are now critically endangered – at the current rate, 80 per cent of the population will be lost within three generations. 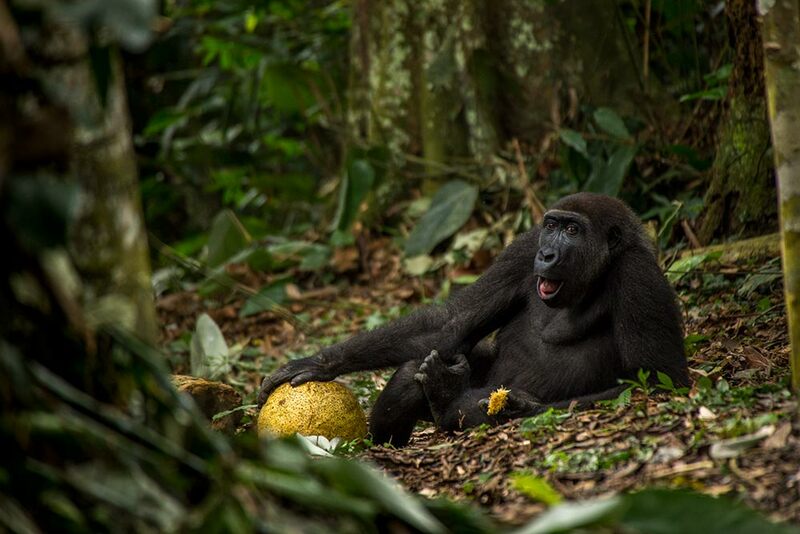 This image shows how it should be, a relaxed gorilla enjoying a snack of African breadfruit in dense jungle. 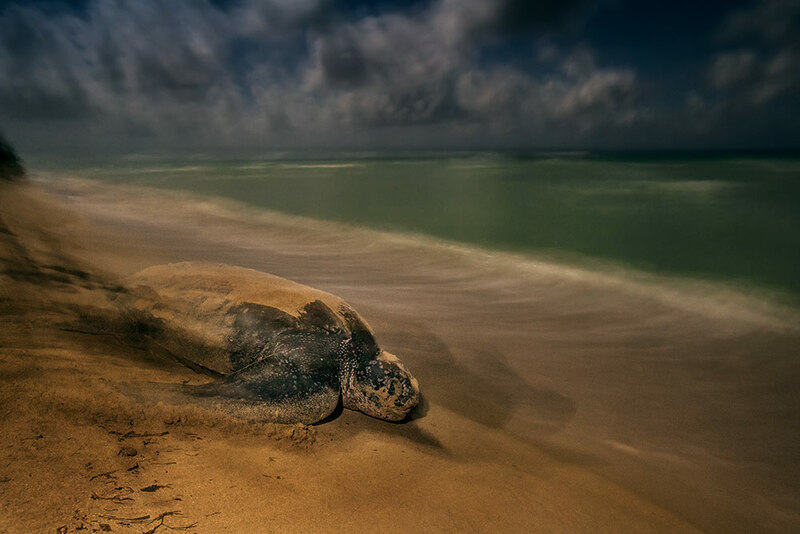 Like generations before her, this leatherback turtle journeys back to the ocean. Nesting turtles were not seen every night and were often too far away. When at last Brian got the encounter he wanted – under clear skies, with no distant city lights – he hand-held a long exposure under the full moon, artfully evoking a timeless atmosphere. Leatherbacks are the largest, fastest, deepest-diving and widest-ranging sea turtles. Much of their lives are spent at sea, shrouded in mystery. Sandy Point provides critical nesting habitat, but elsewhere, leatherbacks are not so lucky. They are threatened by fisheries, coastal development and climate change. Ashleigh was looking for red foxes in the deep snow of winter, having photographed them in spring and summer from a hide near her home. Spotting this female hunting from the back seat of a car, she grabbed her camera, rested it on the window frame and shot a series of the fox ‘mousing’, diving nose first into a drift. 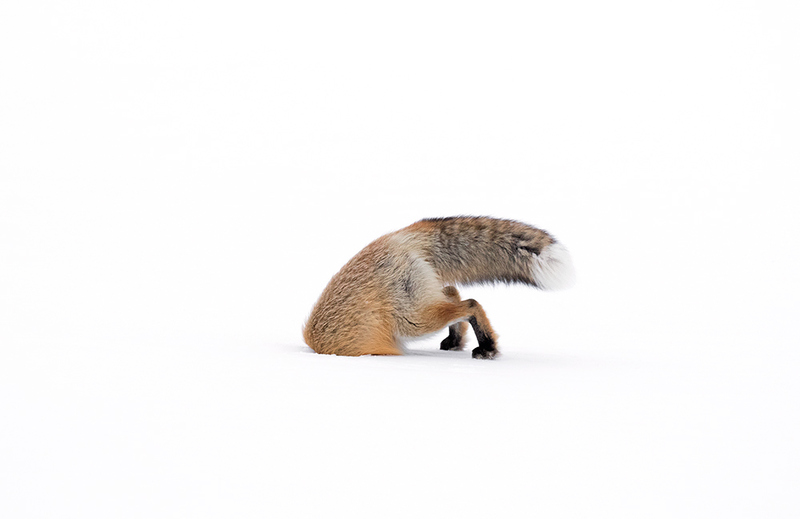 Hunting foxes step quietly across the surface of the snow then stop, tilt their head and listen intently. Suddenly they will pounce, leaping high enough to punch through the deep snow. Sometimes they remain in this upside-down position for several seconds. More often than not these hunts are successful. The vole this fox was after was lucky this time. ‘The tricky part for the remora, and me,’ says Alex, ‘was staying close enough without being sucked in.’ Alex swam with this whale shark for three hours, even after his camera ran out of battery. Keeping an eye on Alex, the gentle giant granted him this powerful close-up, the wide arch of its mouth set off by the timely curve of the remora. The world’s largest fish, whale sharks are filter feeders, sustaining their huge size with plankton and small crustaceans, like krill. Remoras often associate with a larger host, using the modified fin on their heads like a suction cup to hitchhike. They get free transport, protection, and a tasty and steady supply of parasites from the larger sharks. 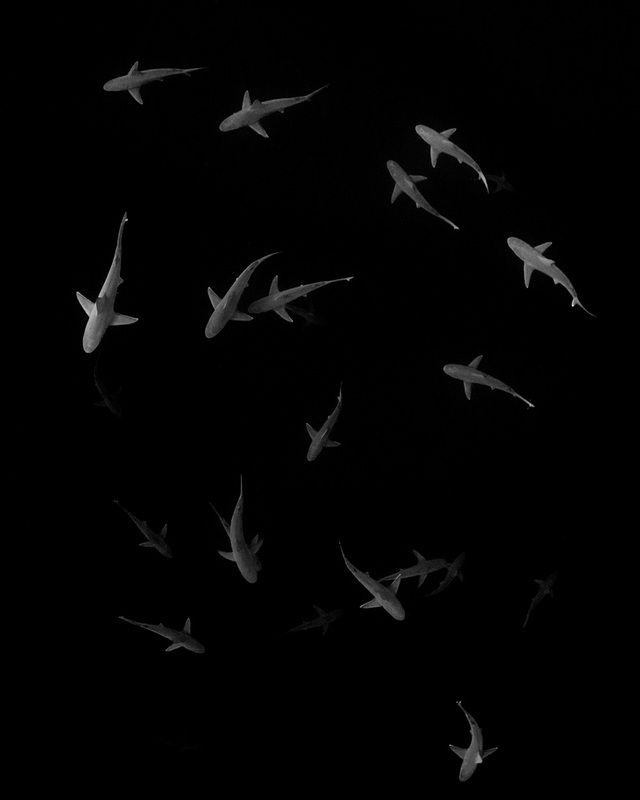 These sandbar sharks are all male and have probably come together to feed or spawn. A school of females may join them later in the season, but in the meantime, they must establish a hierarchy. Sizing each other up, the dominant sharks attempt to secure the better spots nearer the surface. This struggle is particularly unusual. 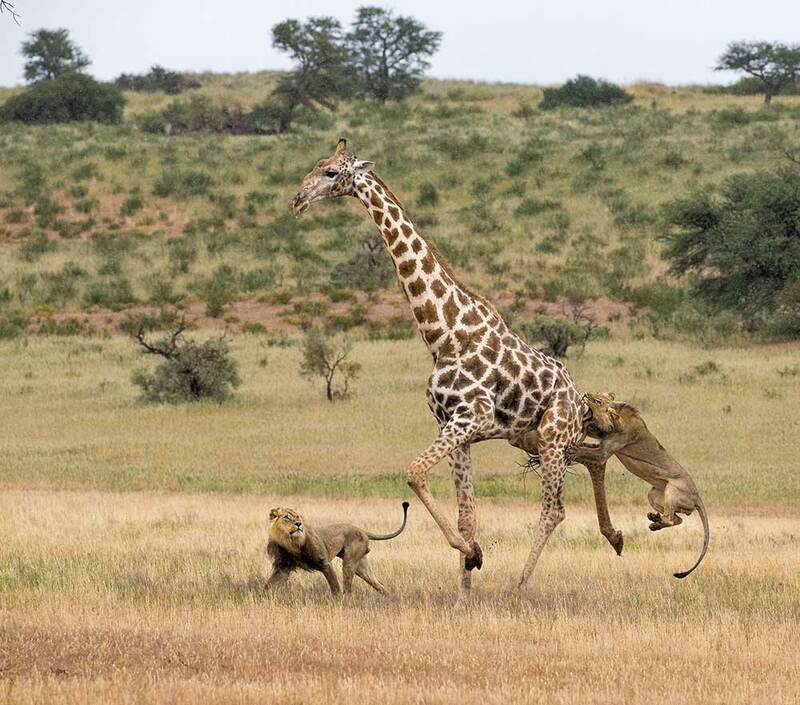 Lions rarely attack giraffes as a single kick from their long, powerful legs could prove fatal. But as the hunt drew closer, Michael saw that this giraffe had misshapen hooves. This may have affected the giraffe’s ability to run, which could have attracted the lions’ attention. 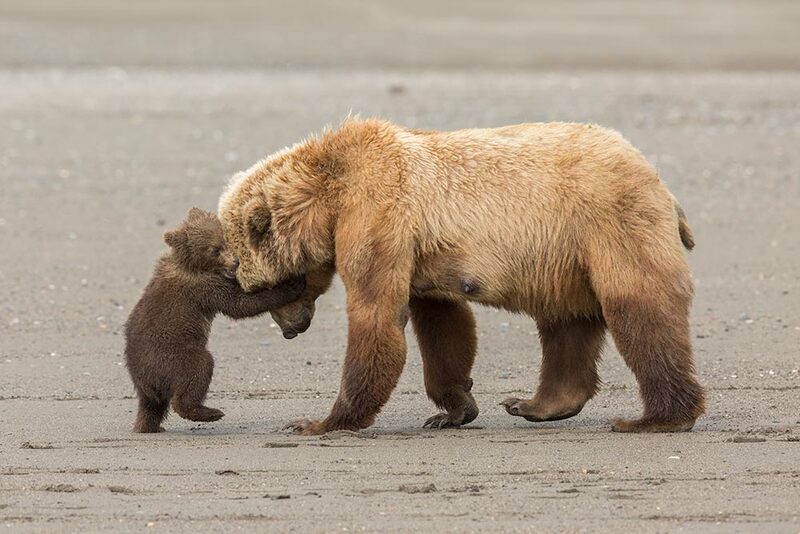 Brown bears are usually solitary, but there is a strong bond between mother and cubs. The young bears stay with their mother for two to three years, learning what to eat, and how to look after themselves. Large numbers of bears follow the plentiful food supplies available here in summer, feasting like this family, on clams, salmon and berries. 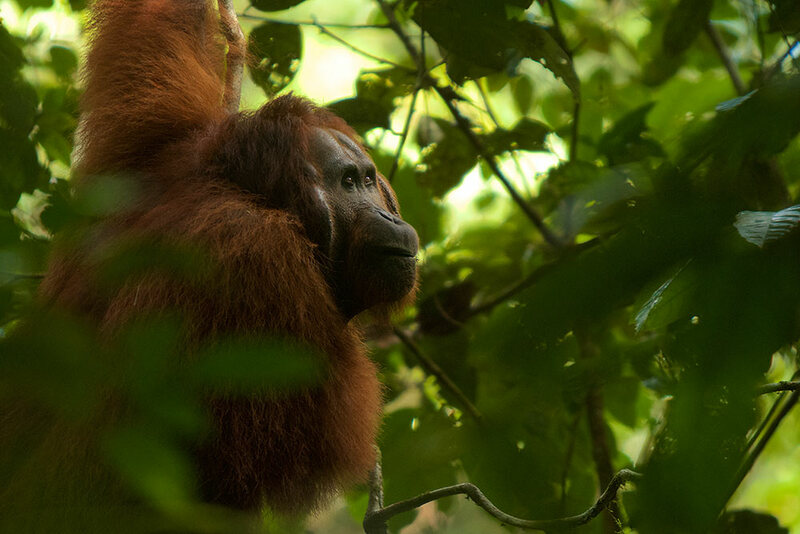 Visiting his mother’s orang-utan research programme in the Gunung Palung National Park, Russell was tracking a female through the rainforest. Suddenly, this male – Alfred – came swinging down almost to the ground to eat, a rare opportunity for Russell. ‘As Alfred gazed off into the distance, I couldn’t help wonder what he was thinking,’ he says. Gunung Palung National Park is one of the last remaining strongholds of Bornean orang-utans. They face multiple threats: forest clearance for oil palm plantations, logging, slash-and-burn farming and illegal hunting, as well as a lack of legal protection and awareness. They are now critically endangered. As the dawn light bathed the desert, Jack trained his lens on the distant Sand Tank Mountains. The saguaro cactus had fallen victim to frost damage, allowing Jack to climb inside its contorted and drooping limbs. He has spent a lifetime photographing frost-damaged cacti. ‘This is probably my best effort,’ he says. 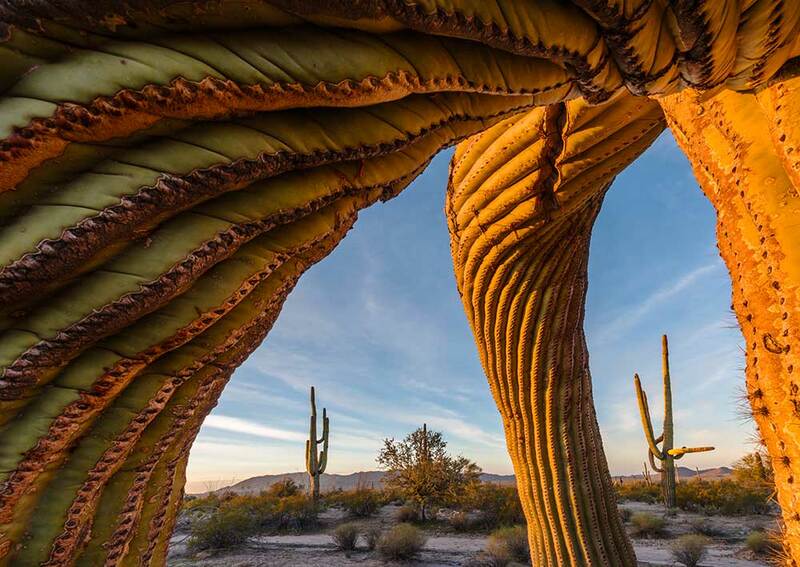 Towering over the Sonoran Desert, these cacti have a plethora of amazing adaptions that enable them to survive long droughts. The roots absorb precious rainfall, while the surface pleats expand like accordions as the cactus swells. It is this adaptation that makes the cacti susceptible to frost, as the water in the saturated limbs can freeze. 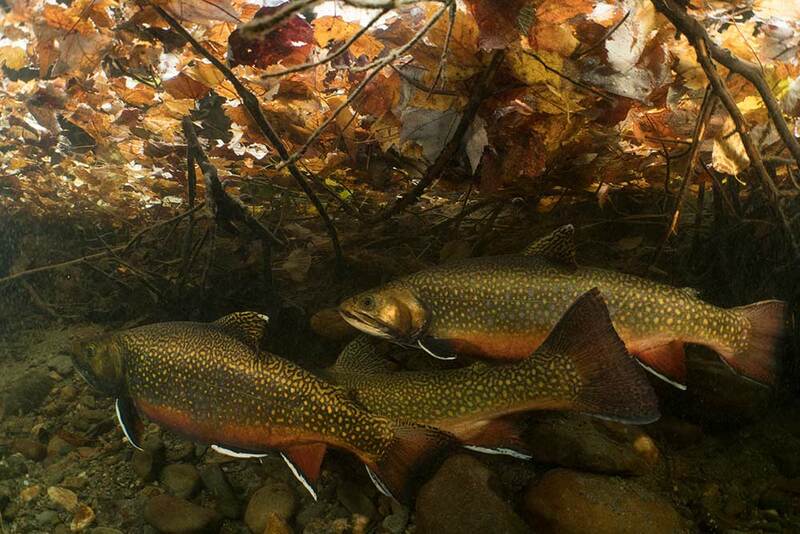 Every autumn the brook trout start to spawn, driven by declining water temperatures. Unfortunately for David, it meant lying motionless for hours in freezing water. With leaves falling above one female’s nest, David finally got close enough to capture the rivalry between her patterned suitors, the warm hues underwater matching those above. Chaotic disputes between male brook trout are frequent in the breeding season. Rivals bite and ram each other while the female digs a nest in the gravel, a redd, to lay her eggs. Brook trout are sensitive to changes in the water – temperature as well as pollution – and are in decline, but collaborative conservation efforts aim to curb this. ‘A poacher’s snare cost this six-month-old cub its right front leg and his freedom,’ explains Steve. The tiger’s leg had been so badly mangled that the vets were forced to amputate, condemning the tiger to a life of captivity. 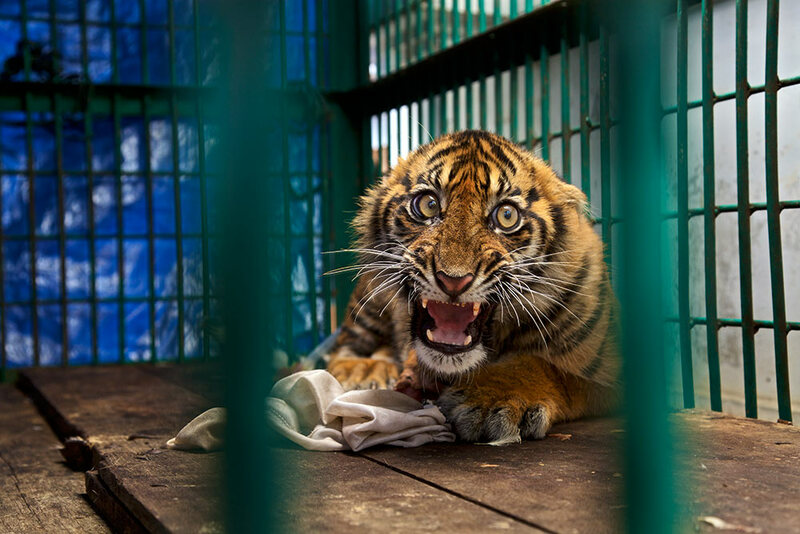 Steve wanted to capture this young tiger's expression to highlight its pain, fear and suffering. Snares are often used by families to catch small deer and other animals for food. But they are indiscriminate and capture tiger cubs as well. Despite the millions of dollars spent on tiger conservation, these beautiful animals have a bleak future. Today, fewer than 3,200 tigers cling to life in small, isolated pockets of wilderness. Justin watched, delighted as the seahorse bounced from one piece of natural debris to the next. However, as rubbish and sewage began to sluice the shore, the creature seized upon this cotton bud as a stable anchor. 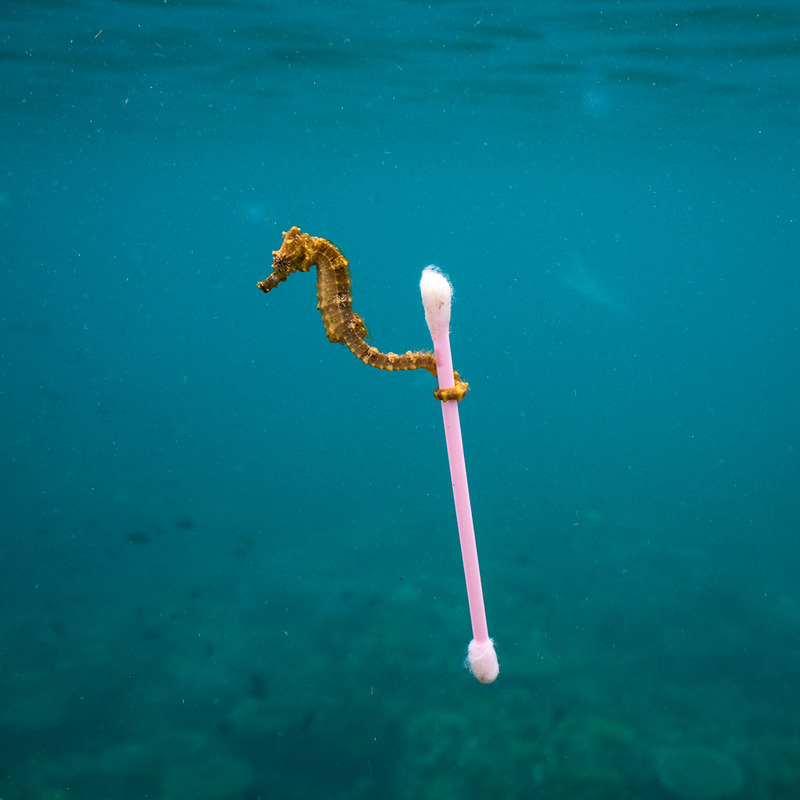 Justin’s admiration for the beautiful seahorse soon turned to ‘vitriolic anger’ at the ‘incoming tide of pollution and litter’. Because of their unusual equine shape, seahorses are poor swimmers. They propel themselves forward using their wing-like dorsal fins, with their smaller pectoral fins used for steering. It’s exhausting work, so they often catch a ride or take a break by clinging to sea grasses and corals with their prehensile tails. OMG! When 'dinosaurs' attacked Japan! PHOTOS: Would you dare swim with these crocodiles?